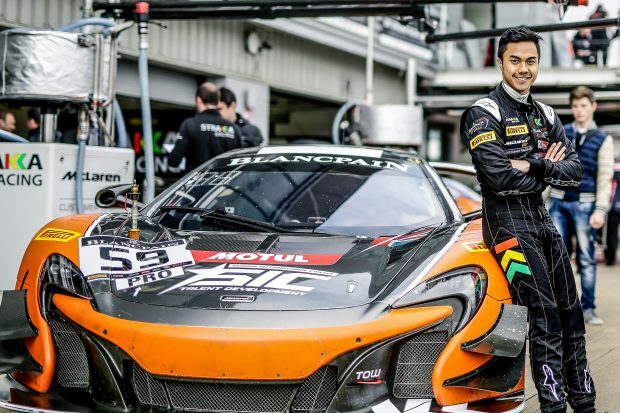 The Strakka Racing #59 car has not had the best of seasons so far, with technical issues and accidents hampering the team’s efforts to demonstrate the pace of the McLaren 650S. Jazeman and his teammates are hoping to turn their fortunes around this weekend. Blancpain GT Series track action starts on Friday for Jazeman, with free practice and pre-qualifying sessions. Final qualifying is on Saturday morning and the race starts at 18.00, finishing at midnight. All the racing action is shown live on the series website, www.blancpain-gt-series.com and highlights are shown on Fox Sports 3 in Malaysia.